This is the first of what I hope will develop into a series of entries in which I would like to illustrate the avoidance of taboo characters as a means of dating editions from examples in our own collections. Inevitably this will mean waiting not only until I discover them, but also until I have a better understanding of the process. 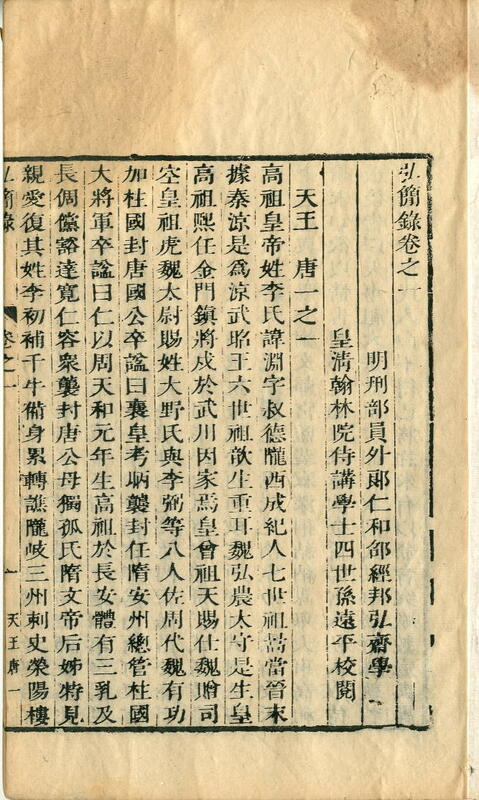 It is usually possible to establish the date when the blocks of an edition were cut, and therefore the date when it was first possible to print it. But it is more difficult to establish the date of printing, given that printing blocks could last for decades and even centuries after they were produced. Sometimes (but rarely) a preface or so called “title-page” will give us specific information. 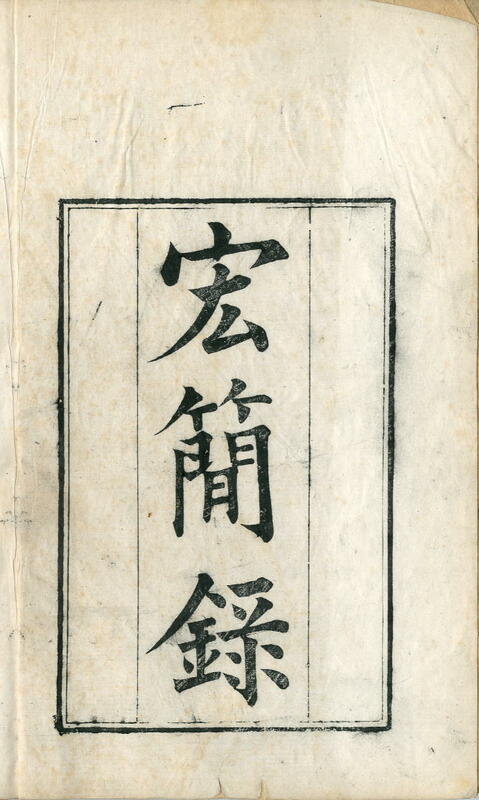 But in the case of our copies of Hongjianlu, it is the avoidance of taboo, that is, the characters in the personal name of the Qianlong 乾隆 emperor, Hongli 弘曆. It is already clear from the degradation of the printing block that our copy was printed much later than the copy from which the reproduction was made, but the avoidance of taboo in the first character of the title by excising the final stroke from the printing block enables us to be a little more precise about how much later the impression was made. And it is not quite as simple as the difference between 1699, when the blocks were finished, and 1736, when the Qianlong emperor ascended the throne. There we learn that the avoidance of taboo was not strictly applied at the beginning of the Qianlong period. Only in the thirteenth year (1748) was the order given to omit the last stroke of the character. And the use of either that method or the substitution of the character with a homophone was later still, with the order first being given in the twenty-fifth year (1760). While it may not be hugely significant that our impression was taken sixty years after the blocks were carved, it is better to have the information than not to have it, and at least it enables me to add the qualification 「後印」 to my description with some certainty.